Club & League Websites with seamless Play-Cricket™ integration. Allow fans, family and friends to buy branded merchandise including mugs, coasters, sports bottles, cushions, towels. phone cases and more. Avoid the hassle of holding stock and managing online payments and deliveries. YourCricket, in partnership with My Club Swag, give you a free merchandise shop on every YourCricket website. - Mobile friendly design, looks great on your phone, your tablet or even your work computer. - Linked to all your social feeds. - No ads, never ads! We’ll never advertise on your website, so you can raise funds via your own advertising and sponsorship agreements. - Manage your membership, no more spreadsheets! - Take club payments. 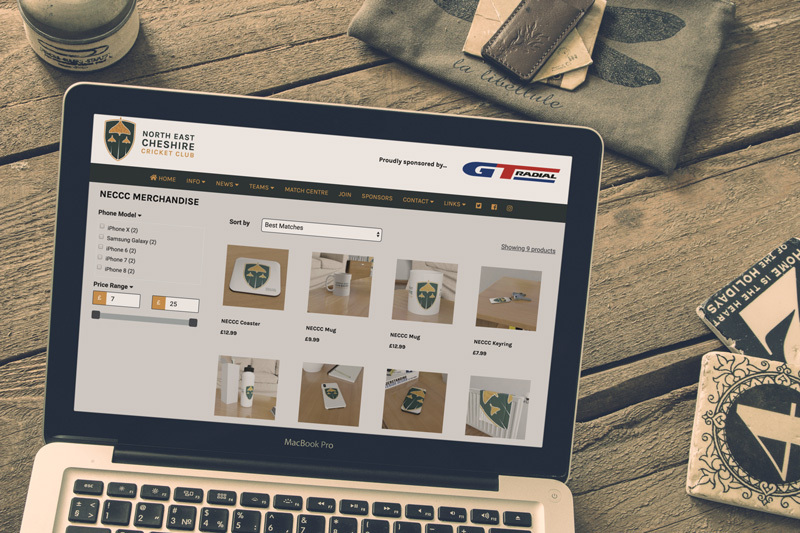 Collect subs, membership subscriptions, even run a club shop for your teamwear and merchandise. Ensure your website is up to date and always at the forefront of internet technology. Your fixtures, results and league tables come together in your own powerful Match Centre.